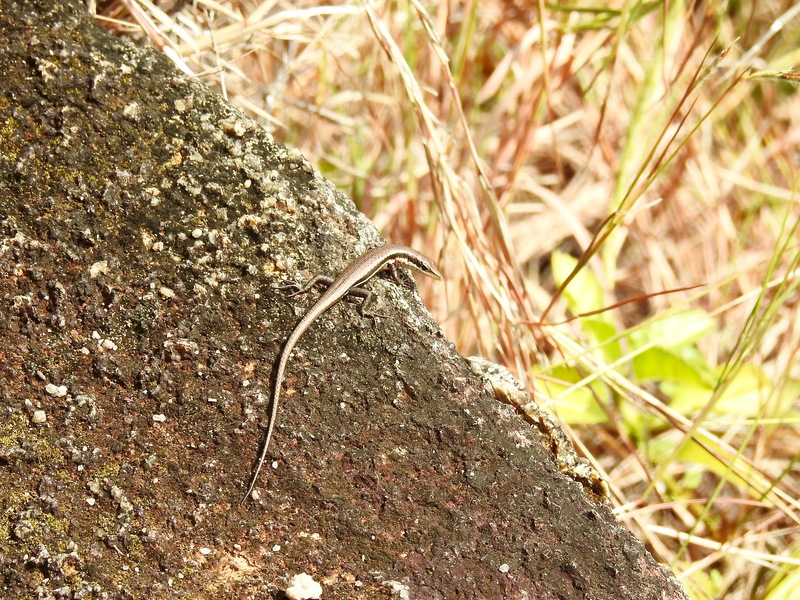 To experience a different side of Seychelles, we hired a guide and trekked along the Mare aux Cochons trail, in the deep interior of the 3000+ hectare Morne Seychellois National Park. Recently, we found ourselves in the Seychelles again (long story!). This time around, we stayed in the Beau Vallon area and the calm stretch of ocean there kept us entertained for many days. And the sunsets were just as spectacular as the last time we had visited! When we’d had our fill of sun, sand and surf; we decided to spend a day hiking the Anse Major trail along the northwest coast of Mahe. 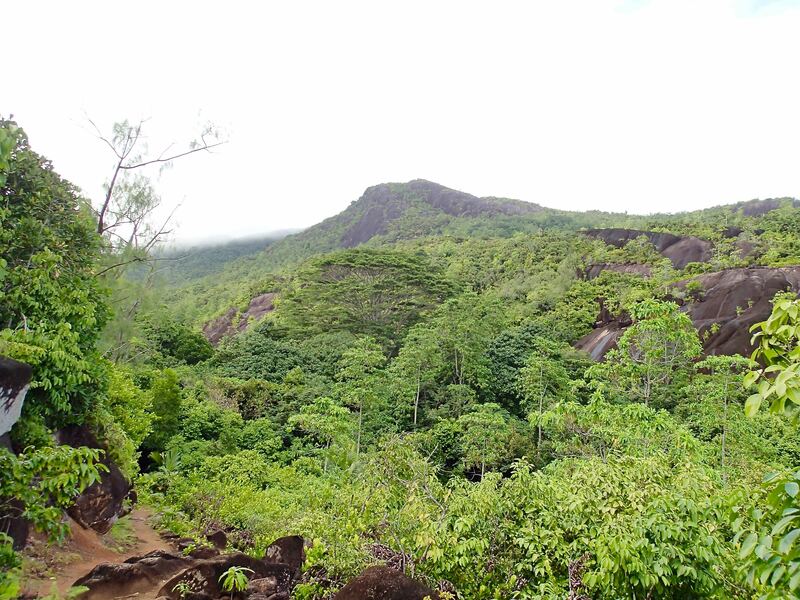 This trail too falls within the limits of the Morne Seychellois National Park. From our hotel in Beau Vallon, it was an easy walk to the bus stop opposite the Beau Vallon police station, on the road leading to Bel Ombre. After buying chili cakes (spiced lentil fritters) from the local store, we took a bus to the Danzil bus terminal. 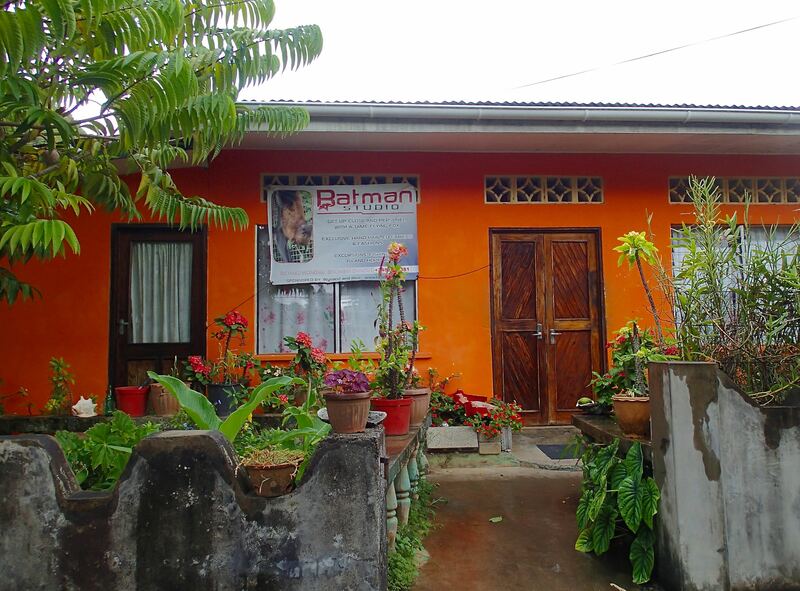 Walking up the main road to the left of the bus terminus, we got to the residential part of Danzil (lookout for the Batman Studio on your left 😉 ) and continued on till we spotted the Anse Major trail sign. 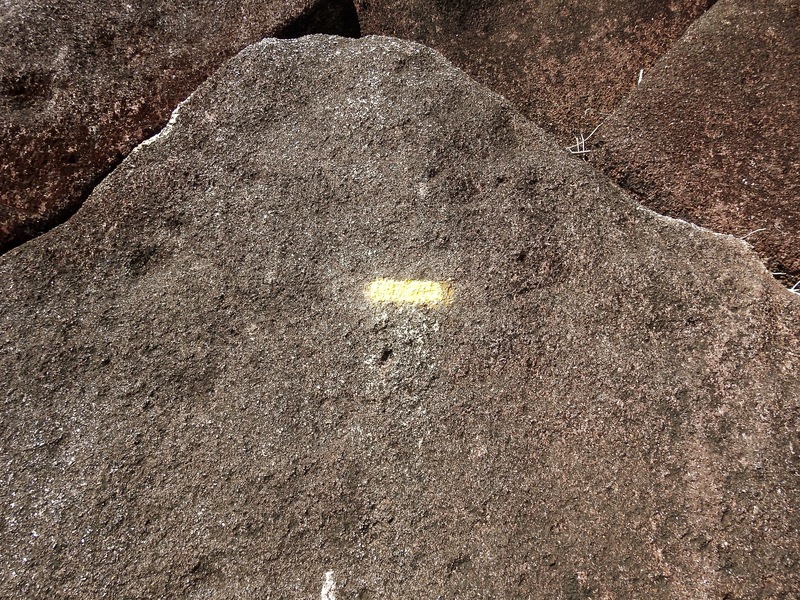 The trail is rated as ‘easy’ but the path is rugged in parts and in certain sections, needs to be navigated with care. The views make up for the trickiness of the trail though. On one side were the weather-scarred, granitic rocks covered with lush vegetation and on the other side , an expansive view of the Indian Ocean with Silhouette island visible in the near distance. Thick foliage everywhere you look! 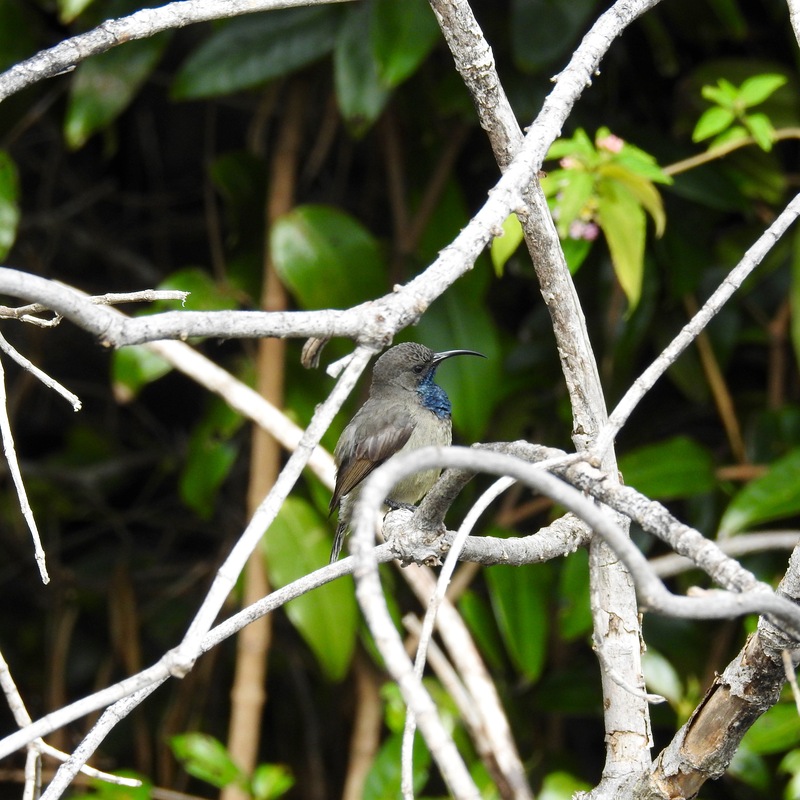 On several occasions, we stopped to photograph the birds we encountered along the way – the Seychelles Sunbird, the Seychelles Blue Pigeon and the Seychelles Bulbul. I’m pretty sure I spotted a Seychelles Kestrel as well but sadly, didn’t get a chance to photograph it. As we neared the end of the trail, we came to a wooden shelter. And were rewarded with an unforgettable view – a perfect little crescent of a beach with turquoise waters lapping up gently against the shore. 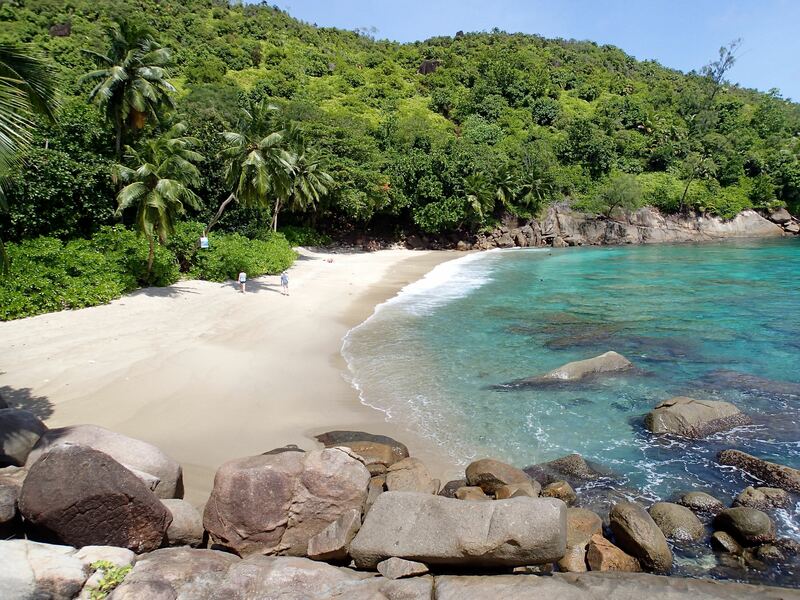 This beach is said to be ‘the finest’ in Mahe, though I don’t know how you can identify any one beach as being ‘the finest’ when every beach here looks right out of a postcard. Oohing and aahing, we hurried along. We had to scramble down a pile of large rocks before we could plant our feet in the cool sand of Anse Major. The friendly beach policeman welcomed us to his domain and was happy to show us around and chat. Thanks to several pit-stops along the way to observe our surroundings and take photographs, it took us much longer than the prescribed 1 – 1.5 hours. We were really glad we had packed food and water as there are no facilities on this secluded beach. Dreading the walk back to Danzil in the hot sun, we took the easy way out. There’s a taxi boat that ferries people from Anse Major to Beau Vallon at regular intervals (200 Seychellois Rupees per person) and we were delighted to return in the comfort of a speed boat. 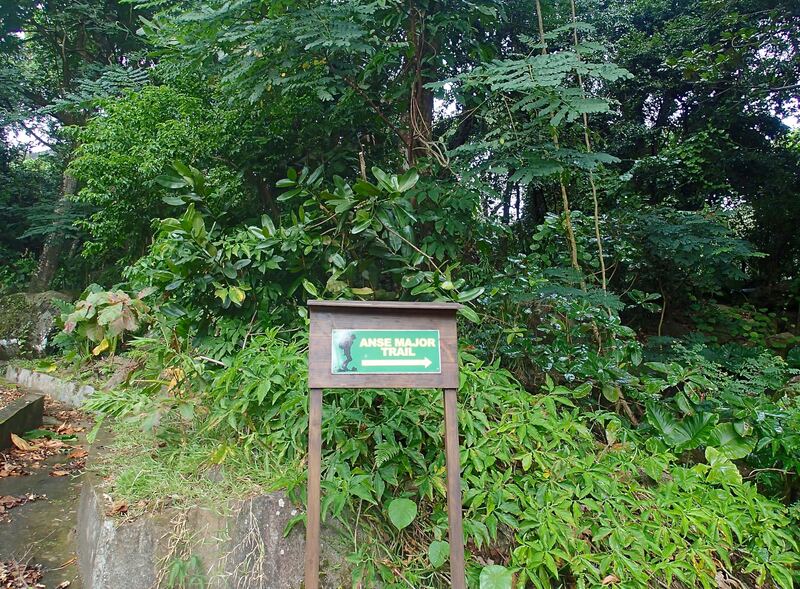 I wasn’t able to find much about the history of Anse Major but according to Seychellois historian Julien Durup, the road from Danzil to Anse Major was built by a French Capuchin brother in the early 1900s. This Capuchin brother is also credited with developing the land along this trail into a thriving agricultural establishment, cultivating vanilla and other crops. Walking along the Anse Major trail today, one would never be able to guess that this area was once a hive of human activity. 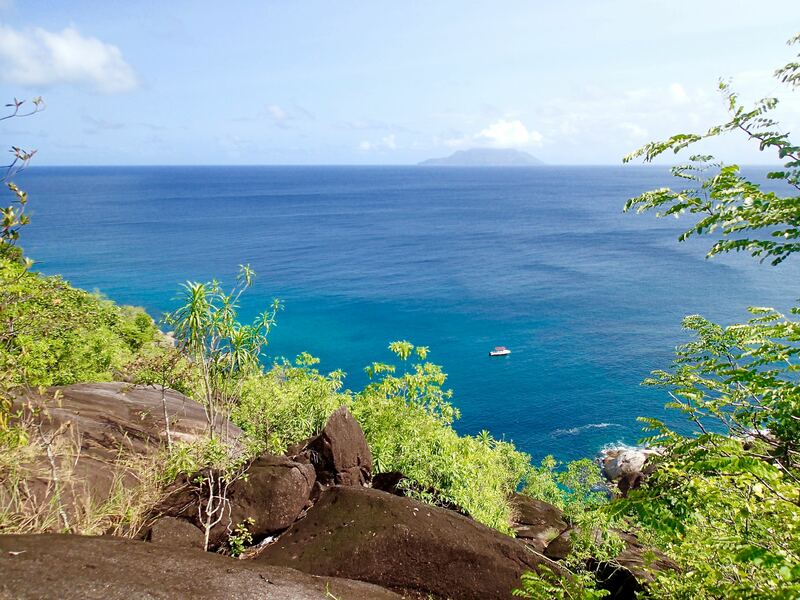 I leave you with this brochure of the Anse Major trail I found online. Happy hiking! Au revoir! Did you find this blogpost useful? Leave a comment and let me know. For more about hiking the Trois Frères Trail, click here. 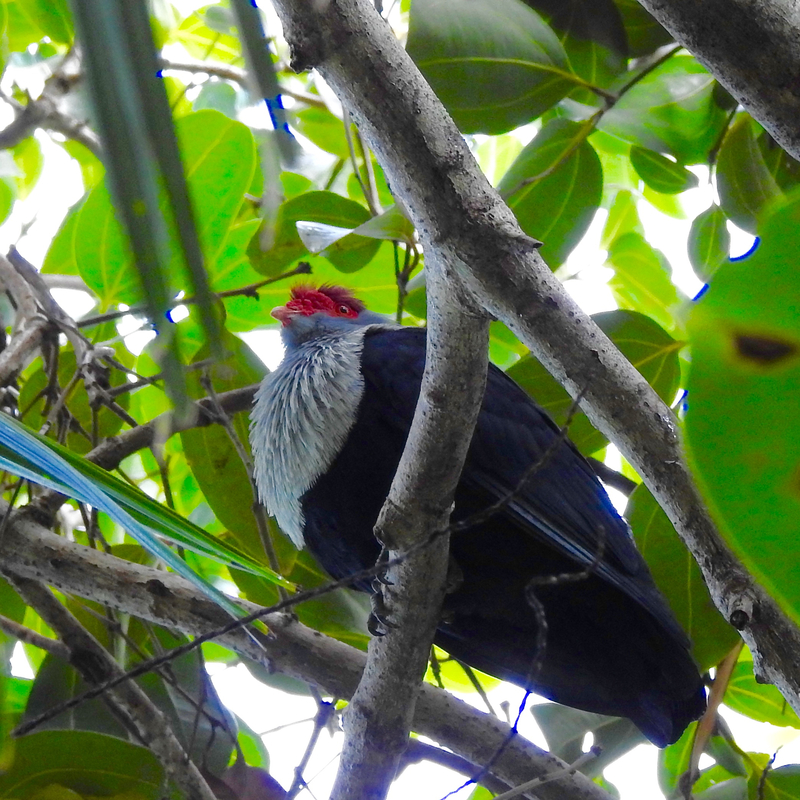 Read about my birdwatching experience in the Seychelles. Click here to learn about the legendary Coco de Mer palm. For a flavour of Seychellois cuisine, read my post about Bazar Labarin. 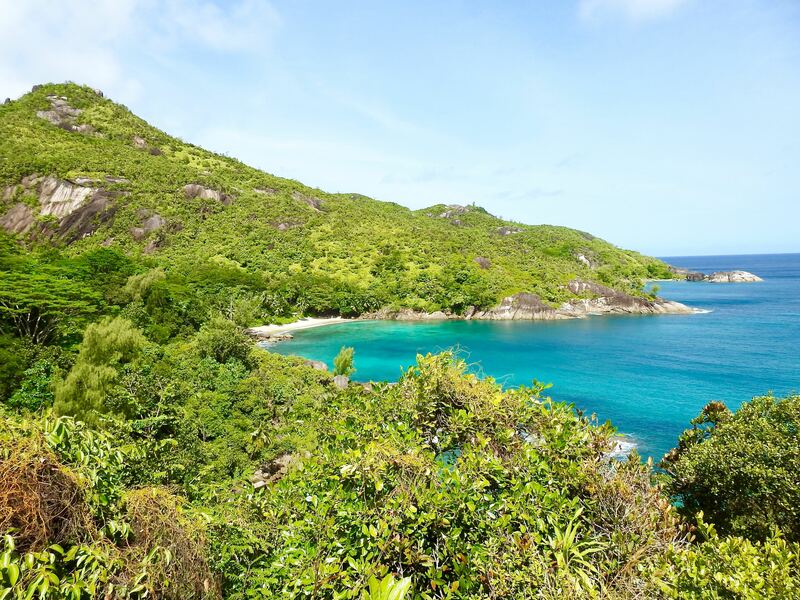 More here about the islands of Praslin, Curieuse & Cousin. Ohhhh my gosh, that just looks like paradise on earth. We were there last week and I can confirm that the snorkeling was some of the best we found on the entire island. We were staying at treasure cove hotel which is next to the start of the trail, so were able to walk directly there. The views and wildlife were spectacular, the heat made it less easy than advertised and shoes were definitely required. I’d say it was a must for any visitor to the island, such a beautiful walk and the beach at the end was fantastic. We too took the boat taxi back and that was a great experience too, the price was 150 rupees, not sure if that was because it’s out of season though.